Apple has requested a ban on sales in the U.S. of the Samsung Galaxy Nexus smartphone, claiming that the showcase for Google's heavily touted Ice Cream Sandwich version of the Android operating system violates four Apple patents. According to Florian Mueller at Foss Patents, Apple brought a motion for a preliminary injunction against the device on Thursday with the United States District Court for the Northern District of California. A public, redacted version of the filing was made available late Friday, and the motion was filed simultaneously with a new federal lawsuit, Mueller reports. The motion, Mueller says, is based on four patents: a "data tapping" patent, a patent involving Siri and unified search, a new slide-to-unlock patent, and a word-completion patent for touch-screen entry of text. The unified search patent, which involves voice assistant Siri's way of searching the Net, could be a direct threat to Google's core search business, Mueller says, and he adds that the word-completion patent may cover functionality involved in Google's mobile search app. The "data tapping" feature, which, for example, lets users tap on a phone number in an e-mail to automatically make a phone call, got Android-handset maker HTC into hot water last year, when the International Trade Commission ruled the company had violated Apple's patent and said it would enforce a ban on HTC's products that use the feature. HTC quickly said it had developed a workaround. Slide-to-unlock is currently at play in an Apple legal action against the Galaxy Nexus in Germany, where a resolution of some sort is expected in March. Earlier this month, a German court rejected Apple's request to ban the Galaxy Nexus in that country. Apple had taken issue with Samsung's products for bearing resemblance to its own products. In this new case, Mueller claims, Apple "focuses completely on strong technical patents" as opposed to "softer, design-related rights." 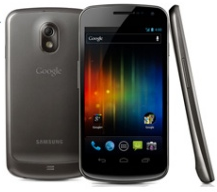 Google and Samsung collaborated closely on the Galaxy Nexus and unveiled it in October (at which time Samsung claimed it had been Apple-proofed). Since the first Nexus One (from HTC), Google has used its line of Nexus phones as a showcase for the latest user interface and features available with the updated version of Android, and the Nexus phones include no OS extensions from carriers. In this case, then, "stock Android itself is at issue," as Mueller puts it. "This means that Google cannot deny its undivided responsibility for any infringement findings." Meuller adds that the Galaxy Nexus' "role as a 'lead device' could also contribute to the willingness of the court to order a preliminary injunction." Apple's Steve Jobs thought Android was a knock-off of his company's iOS operating system and famously said Apple was "going to destroy Android, because it's a stolen product. I'm willing to go thermonuclear war on this." Since then, the battle between the two companies has only intensified, with information recently surfacing that suggests a Google home entertainment device may be in the works. Apple and Samsung, meanwhile, have quickly become fierce competitors in recent years with a rise in popularity of smartphones and tablets. Their ongoing global legal dispute was kicked off with a U.S. lawsuit filed by Apple against Samsung in April of last year that said Samsung was violating its intellectual property in the design of its mobile devices, specifically the Galaxy series of smartphones and tablets. Samsung quickly countersued, saying Apple was infringing on multiple patents. Since then, Apple has gone after Samsung heavily in Australia and parts of Europe--particularly Italy and Germany, the latter of which is considered to be friendly to patent-holders and faster than courts in the U.S. The loss of cutting-edge features in a mobile device due to patent issues can, of course, hamper the device's competitiveness. It's possible however, for companies to devise workarounds that avoid legal problems but approximate desired functionalities.